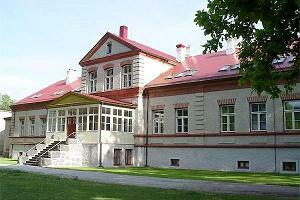 Adavere manor was first mentioned in records in the second half of the 17th century. In the 16th and 17th centuries, Adavere was under the rule of Põltsamaa castle, which governed all of the surrounding land and villages as the most important town in Central Estonia. 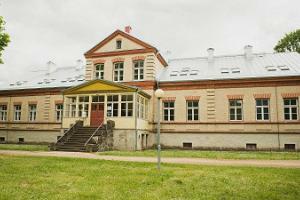 Its massive slate main building was constructed between 1892 and 1893. The complex also includes outbuildings erected in the late 19th century – a workers' cottage and a barn with a drying shed. Manor park (dating from the 1740s) was one of the grandest in Estonia in its day, although little remains of its glory today. 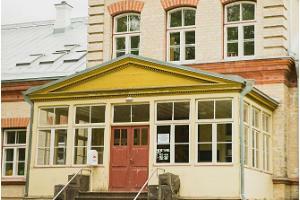 * Today, the building is home to Adavere Basic School. During winter, you can go skating in the skating rink on the school stadium.